Here I have to make a small confession: Until now, I’d not read any Graham Joyce. I grabbed a copy of this book mostly because Gary K. Wolfe talked about it on the Coode Street Podcast (I swear I get enabled so much by podcasts, and have never regretted any such enabling) – to paraphrase, I think he put it into the same kind of circle of awesome as Caitlin R. Kiernan’s Drowning Girl, which remains one of the most amazing books I’ve read over the last few years. And so I bought it, and popped it on my shelf to languish for a little while. I’m at the point where I’m going to have to start forcing myself to read everything on my TBR mountain soon. It’s gotten a wee bit out of hand. Feeling a bit disillusioned with some of the stuff I’ve been reading (or, more properly, picking up, reading two chapters and putting down again), I picked this up. And noticed what I’d missed when I received it – the fact that I’d actually received a signed limited edition. Thank you, Book Depository, you are kind of awesome. And that’s a lot of rambling to get to actually talking about the book. Which, when you look at it, has a fairly simple premise – Tara vanished in the woods when she was sixteen, and turns up twenty years later, looking no older than she had on the day she disappeared. Her return sends ripples through the lives of her family – especially her brother, Peter and her boyfriend (when she vanished), Richie, who was actually a suspect for her murder and has pretty much been frozen in time since then. Joyce doesn’t play with the mystery of Tara’s disappearance overmuch, and the reader is never really in much doubt about what happened to her, but this really isn’t a bad thing. It really does feel like Tara’s reappearance is a stone thrown into a pond (or maybe a carpet of bluebells), and he moves through different characters’ points of view and timelines to show just how much that rippling affects. There is so much gorgeous writing in this, and so many sentences that I literally stopped and reread about a dozen times, just savouring them, before I moved on. And after I finished reading this book, I promptly went online and ordered a bunch of Joyce’s other work. 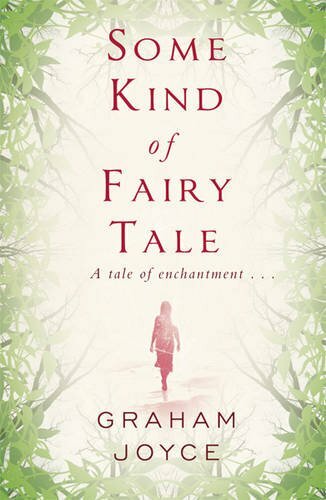 If you like literary fantasy, and fairy tales, I can really, really recommend this one. I think it’s going to be a book that I reread many, many times. In not a review Tagged not a review Bookmark the permalink.